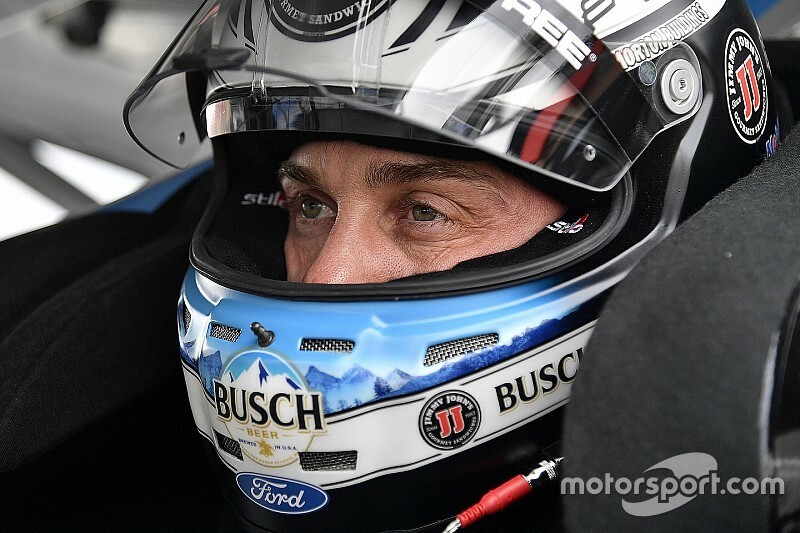 Harvick put in a dominating performance on Sunday, winning both stages and taking the victory in the Consumers Energy 400 at Michigan International Speedway, taking the checkered flag by more than three seconds over Brad Keselowski. Austin Dillon was running second but had a flat tire with one of 200 laps remaining. The win is the seventh in the Monster Energy NASCAR Cup Series this season and 44th of his career. It’s also his second win at Michigan and first since the 2010 season. He led 108 laps. Kyle Busch finished third, Austin Dillon still managed to finish fourth and Ryan Blaney completed the top-five. Rounding out the Top 10 were Kurt Busch, Aric Almirola, Denny Hamlin, Chase Elliott and Joey Logano. Following the break between Stages 2 and 3, all of the lead-car pits pit for fuel and tires and Harvick was the first off pit road and held the lead as the final stage went green on Lap 127. He was followed by Kyle Busch and Blaney. Shortly after the restart, Blaney moved into the second position as Kyle Busch dropped to third. On Lap 133, Ty Dillon wrecked in Turns 3 and 4 after running over a large piece of debris to bring out a caution, which allowed Truex to return to the lead lap. “I hit a piece of lead or something,” Dillon said over his team radio. The race returned to green after an extensive cleanup on Lap 144 with Harvick still in the lead followed by Blaney and Kyle Busch. Austin Dillon moved into the second position on the restart as Keselowski moved into third and Blaney dropped to fourth. With 50 laps remaining in the race, Harvick had a more than one second advantage over Austin Dillon with Keselowski still in third. Blaney and Kyle Busch rounded out the top-five. On Lap 171, Kyle Busch became one of first running in the top five to make a green-flag pit stop. He was followed by Bowyer and a lap later, Harvick and Keselowski. Once the cycle of stops were completed with 11 laps left in the race, Harvick held a more than two second lead over Austin Dillon followed by Keselowski, Kyle Busch and Blaney.